High Street Market: Lamps Plus! You know you love it. The lamp above is vintage, but you can get the knock off at Lamps Plus! Also, available in orange, and chocolate brown. 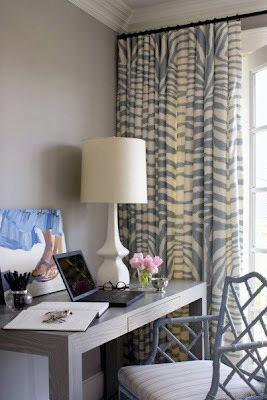 the image above is from Burnham Design, last image from Kathryn Scott. Both were featured in House Beautiful.